We often read stories in the press of cats that have strayed miles from home only to be eventually reunited with their owners thanks to their microchip. A microchip can be the difference between seeing a lost pet again, or not. It is very distressing to lose a pet but unfortunately without any reliable form of identification can be extremely difficult to reunite owners with their pets. 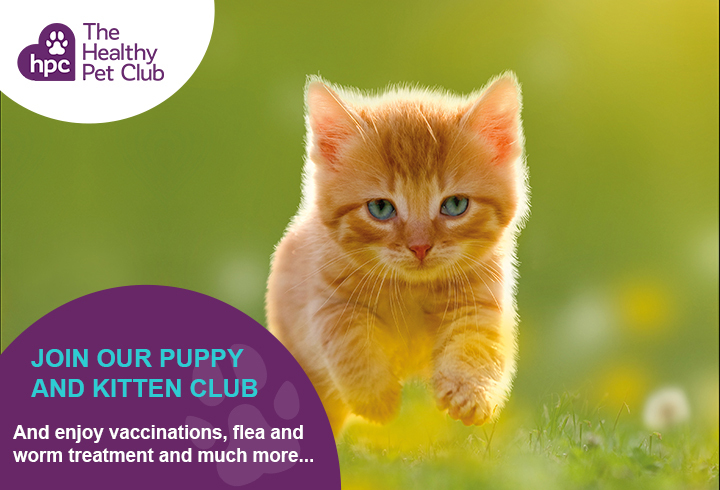 Microchipping is a simple way of permanent identification for any pet and as part of your membership of the Healthy Pet Club, a microchip for your cat is included in the package. Microchipping is quick, safe and painless. Your vet will inject a tiny microchip (about the size of a grain of rice) under the loose skin of your cat’s neck, which will give your cat his/her own personal identification number. If your cat strays and gets handed in to another veterinary surgery, rescue centre, the police or local authority, they have special hand held scanners that can detect and “read” the information on the microchips. Your cat’s unique number can be checked against the national database and once identified as yours, you will be reunited without further delay. Archway Veterinary Practice is part of CVS (UK) Limited, a company which owns over 490 veterinary practices within the UK. Company Registration Number 03777473 – Registered Office: CVS House, Owen Road, Diss, Norfolk IP22 4ER.